I love Chai Tea! 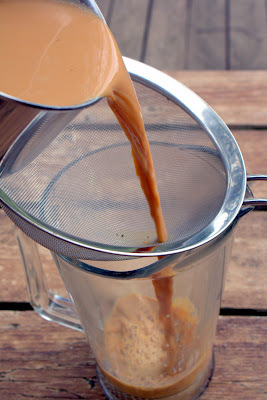 I was first introduced to Chai Tea in December 2003 during our honeymoon in New Zealand. A friend of Mark is married to a lovely Indian lady and we stayed with them while in New Zealand. She brought us to one of the tea shops in Christchurch and convinced us to try Chai Tea. I have been hooked eversince. 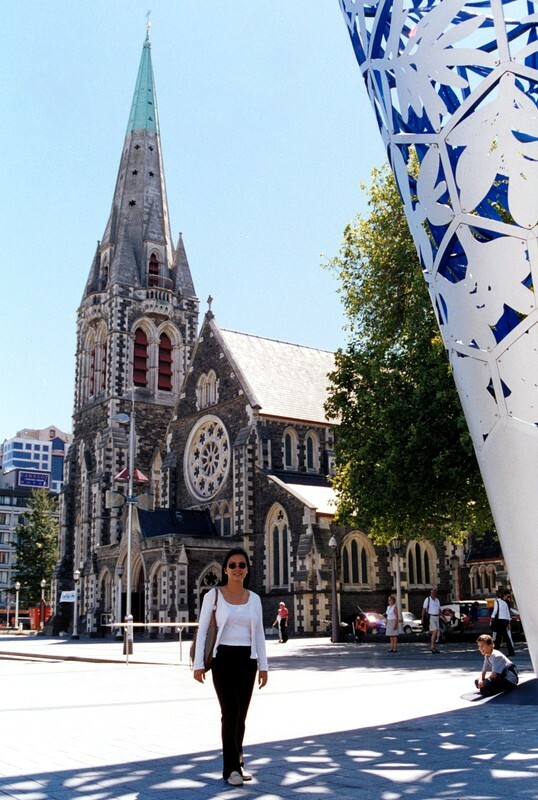 Here’s a photo of myself in Christchurch in 2003 and many pounds ago! Since then till recently, I never learned how to prepare my own Chai. So more often than not, I end up buying from Starbucks or getting a prepared mix from the grocery. While they taste ok, I find them to be so sugary. Finally, last July our friend Samuel B. from India came to visit us. Not only did we have a lovely time with him, he taught me how to make Chai Tea! The authentic way and with only 1 major ingredient – Cardamom pods. Wow! It was the best Chai I have ever had! I think the reason why I never tried to make it was the thought of having to mix or grind many spices. I was so wrong. It is quite easy to make. Thanks to Sam I no longer need to spend money to make my own authentic Chai Tea right in our own home. Here’s what a cardamom pod looks like. Photo courtesy of Wikipedia by Sanjay Ach. 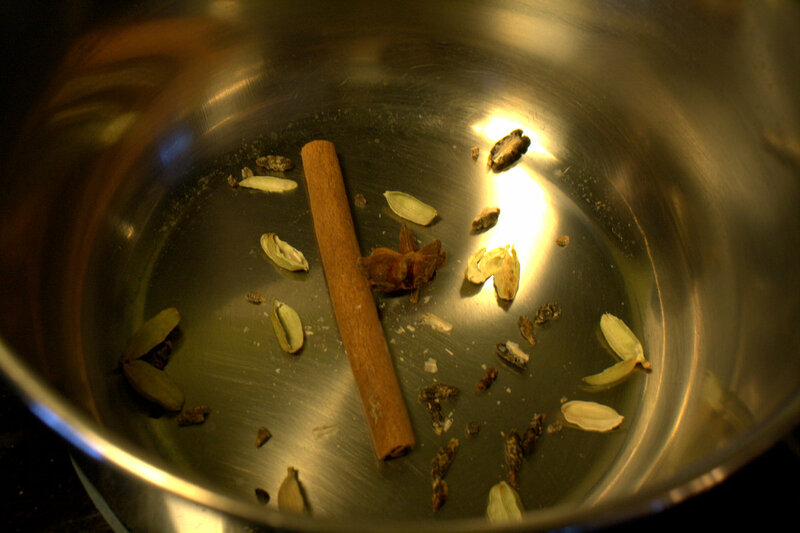 While cardamom is the most essential spice to any Chai Tea, sometimes I experiment by adding a cinnamon stick, star anise or fennel seeds to the mix. I make about 2-3 cups worth ’cause I like to have one in the morning (as replacement for coffee) and one in the afternoon, to keep me alive! 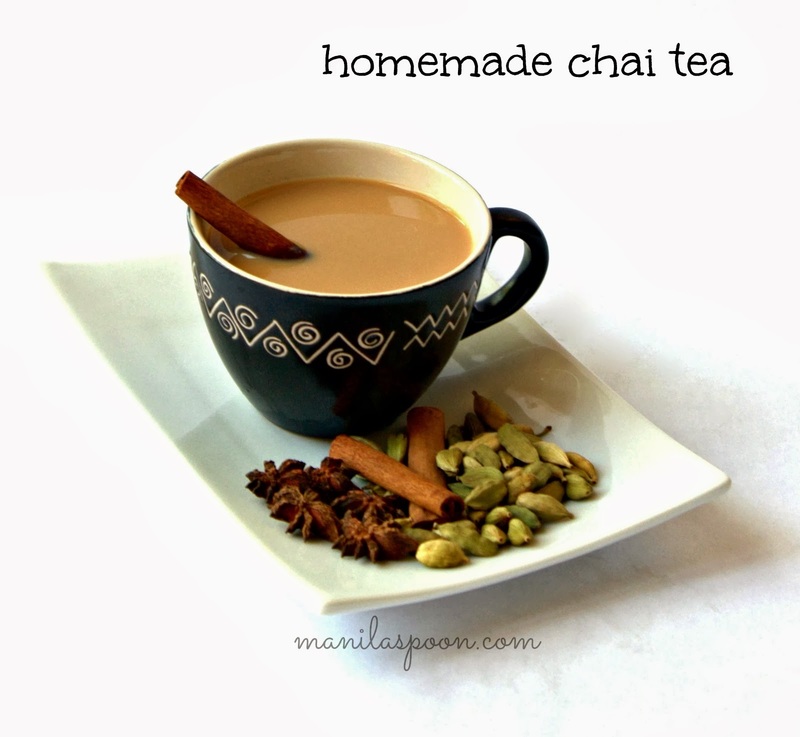 So enjoy your homemade Chai Tea! Have it with ice in the Summer and serve hot during Fall and Winter! Place the cardamom pods and the other spices (if using) in the sauce pan (big enough to accomodate about 3 cups of liquid). Pour in 2 cups of water. Using medium high heat, bring to a boil. Once it begins to boil lower the heat to medium and continue to boil for another 2 minutes to extract more flavor. Add the milk and wait till it boils again. 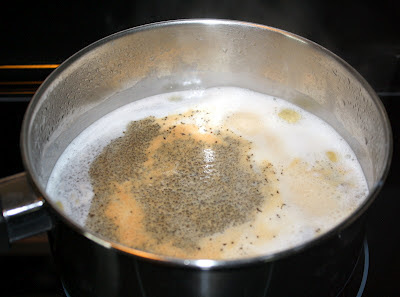 Once the liquid starts to boil and the milk is starting to foam well, add the black tea. 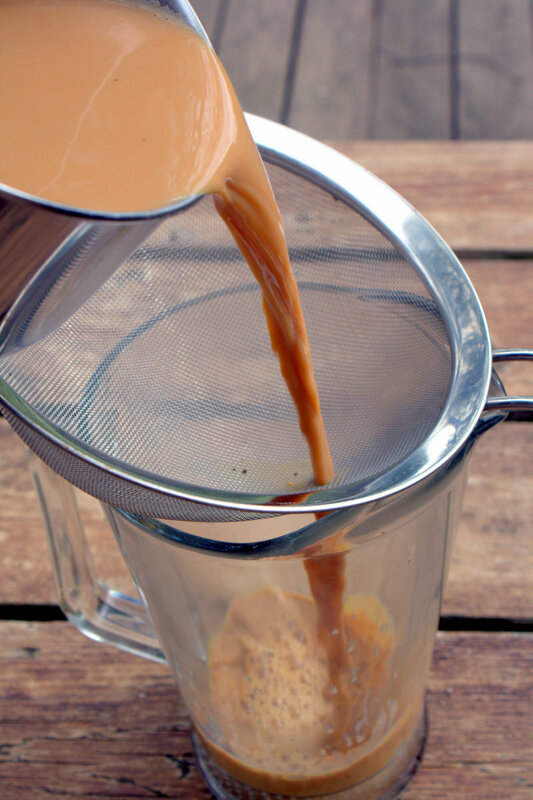 Cover and remove from the heat and brew for 3-5 minutes depending on how strong you want your tea to be. Strain then transfer the remaining tea to a mug or tea cup. Add some sugar, to taste. Facebook. Thank you so much for dropping by! Thanks, Jen! Chai Tea will be my best friend this winter. Thanks for this Abby. At least I can now use the cardamom been sitting in the ref for quite sometimes. I always fail to use it using my regular tea bag. With this, there is no reason to forget. How about the black tea, can I use the one in the tea bag? Yes, you can. Hope you enjoy it! Thanks for dropping by Swanie! mmm, this looks like a total hug to my tummy. perfect for fall! Thanks for dropping by Ally! Will be checking out your blog! 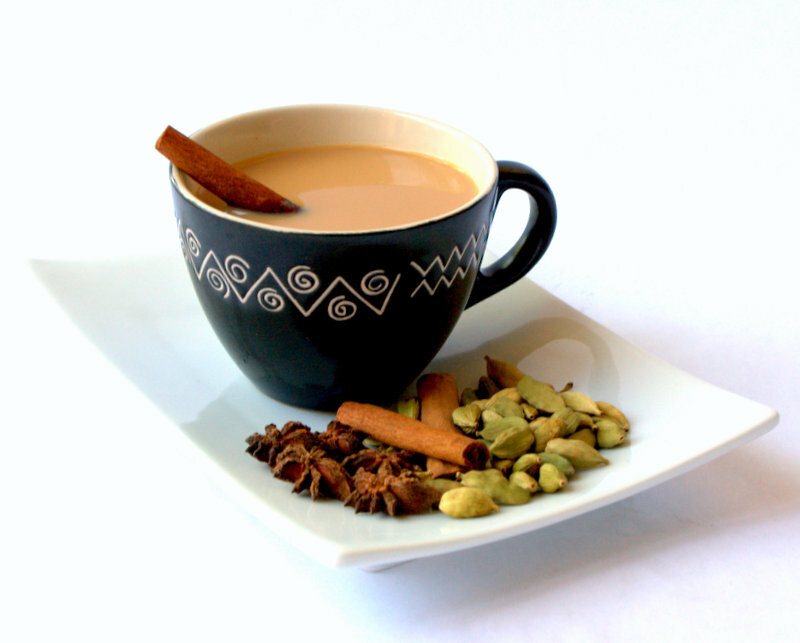 Hope you enjoy Chai Tea during the cold winter days and nights. Oh Marly, you gotta try this especially since you already have all the ingredients. This is my favorite cuppa and love that it is so easy to prepare. Hope you enjoy it! Thanks for stopping by! It has been a really long time since I had Chai Tea Latte. I used to ask for it everyday when I was overseas. The variety that is served in the coffe chain conglomerate is very bland (in my opinion). Today I got a hold of "Stash Premium Chai Spice Tea." I steeped one bag in a cup and added milk…ohhhh, HEAVENLY!!! So I was wondering how am I going to get my fix, when my 18 bags run out? Then, I found this blog…I'm saved! 🙂 Thanks! Thanks, Paul! Glad you found us! Am sure you'll love this! You can tweak the strength of the Chai to your liking. Enjoy and thanks for stopping by! Thanks for sharing and pinning our recipe. Always a pleasure to join your foodie party and glad you stopped by Debi. Sounds yummy! I will try this!! Please enjoy Sabra! Thanks for stopping by. Where do you buy cinnamon sticks? In the spice section of the grocery or supermarket. Any Asian market should have them, too. Where can I buy cardamom pods here in the Philippines?